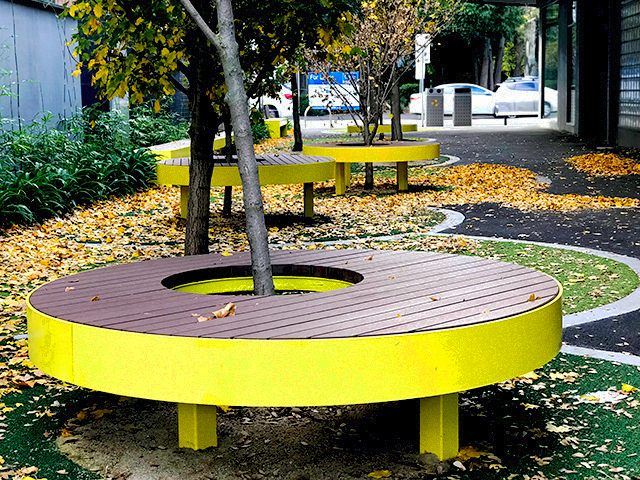 A suite of vibrant bespoke benches was fabricated by Draffin Street Furniture for a walkway upgrade in Camberwell, Victoria, bringing colour to the space and complementing the existing trees. 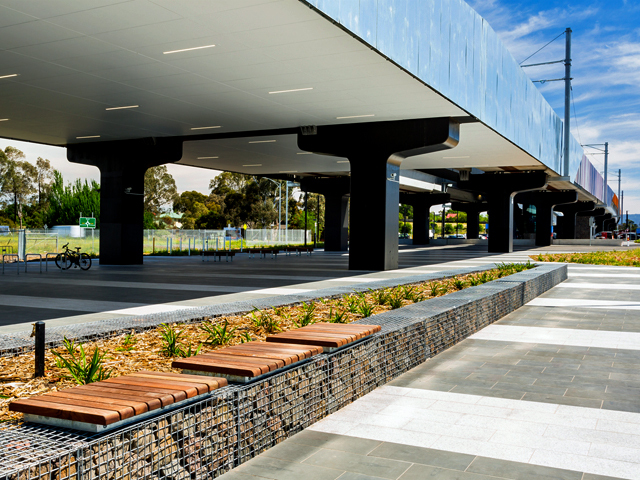 Draffin Street Furniture was contracted by the City of Boroondara to fabricate the custom bench seats Council’s landscape architects had designed for the walkway. 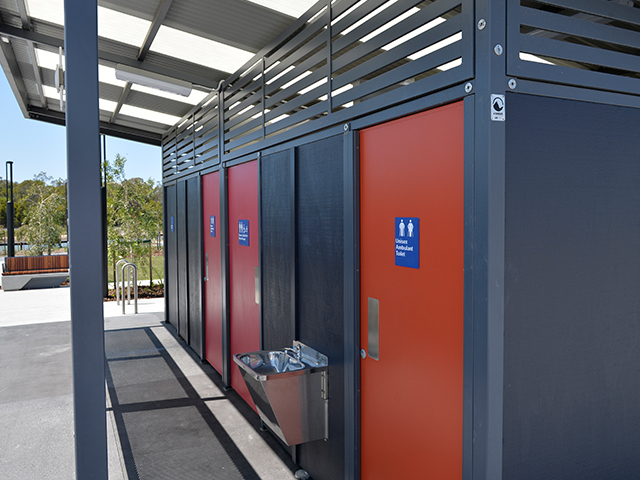 The refurbishment was part of a larger Boroondara project – revitalising alleys, arcades and laneways in local shopping centres. The aim was to preserve and transform their unique Melbourne laneways into “greener destinations that are more interesting to rest and have improved pedestrian access”. 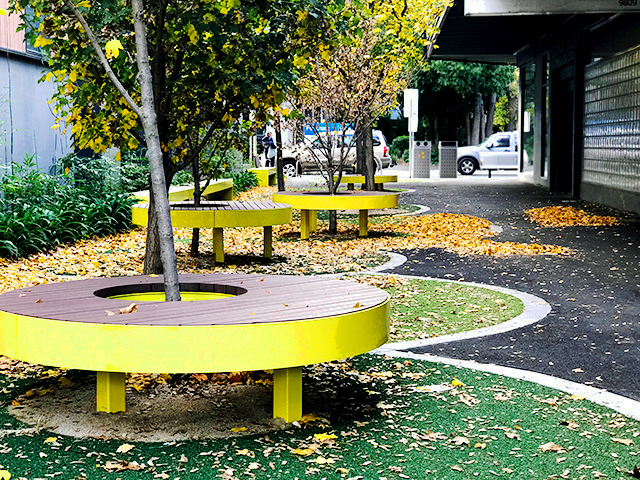 This Camberwell walkway, located in the core of the Hartwell shopping area, serves as a place for people to stop and rest. 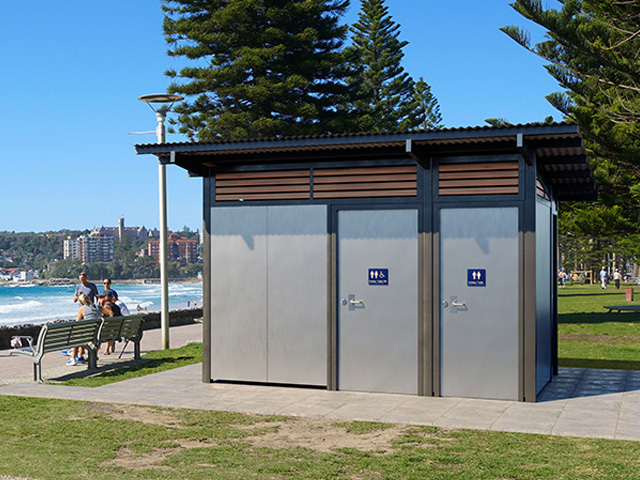 The benches are made from enviro-wood timber and 2-Pack coated mild steel. 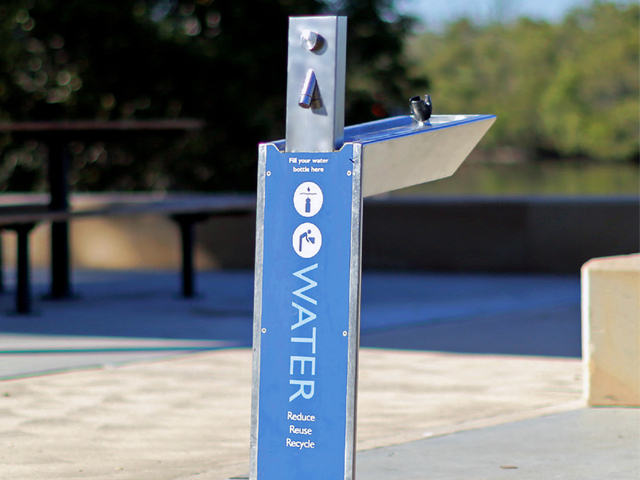 These materials are perfect for areas with heavy foot traffic due to their resilience and longevity. 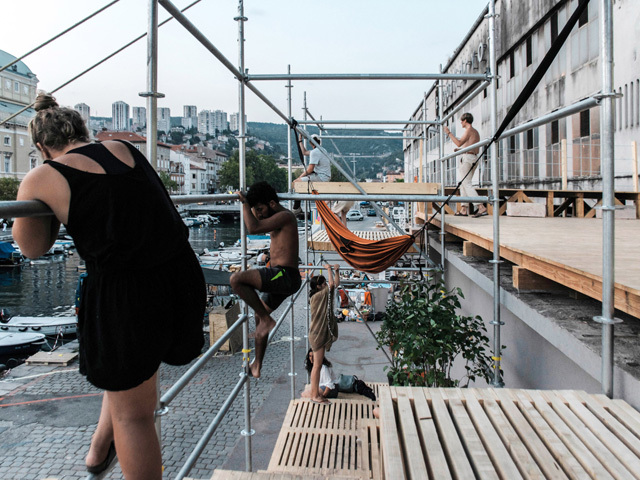 The narrower legs on the benches meant that the impact on tree roots below the walkway’s surface would be minimal. 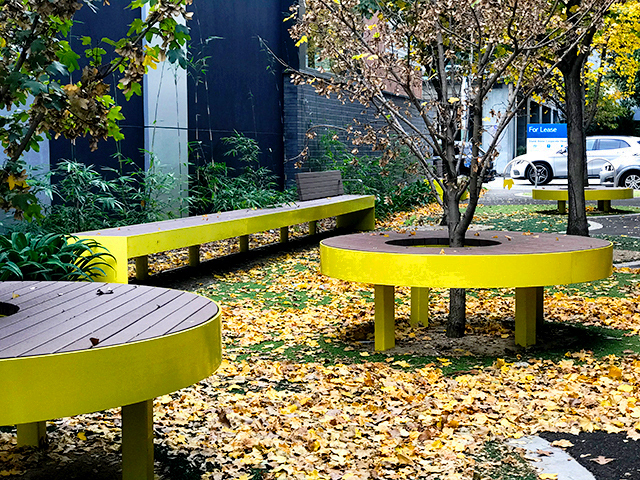 The benches vary in height and style to provide various seating options and cater for all different capabilities and ages. 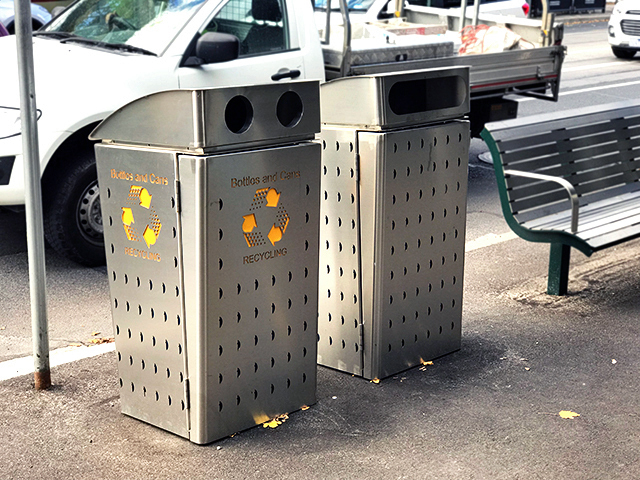 Designed specifically for the City of Boroondara, these bin enclosures have evolved over the last 15 years of fabrication. Made from marine-grade stainless steel, the latest edition is extremely durable. The cover features an internal elongated chute to guide rubbish directly into the bin. Drainage slots at the base of the bin surround enable easy cleaning. Finally, lasercut logos and a coloured backing plate have replaced decals. This ensures that the waste logos will last the life of the bin. 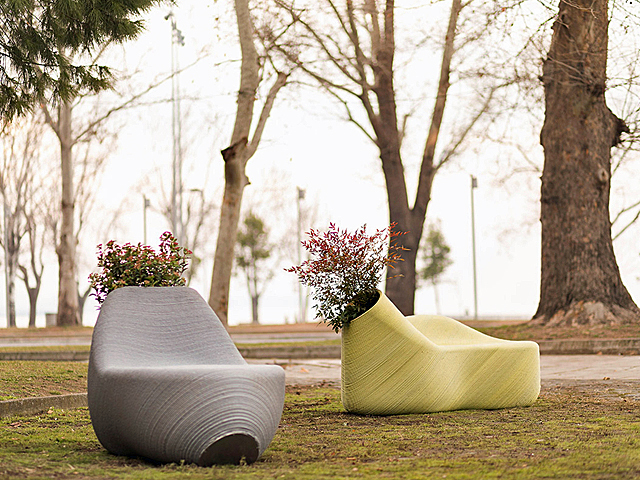 Draffin design and manufacture an extensive range of urban outdoor furniture. With over 60 years of fabrication experience, the team at Draffin have the knowledge and skills to produce high-quality standard and custom outdoor furniture pieces. Working on a custom project? Draffin’s friendly engineering team are on hand to assist you in developing your concept briefs and turning them into a finished product. To find out more about Draffin Street Furniture’s custom services, visit their website via the link below.